Mark, thanks for sharing this, glad you joined us. Yes, we are quite a diverse group, makes life much more interesting. That's one handsome Royal KHM. Looks like you've taken good care of it. That top row is impressive. I think my Remington Standard 16 had 6 or so decimal tabs - and I thought that was more than enough! I am not one for Royals, but that is a handsome machine you have there. I, too, find the Typosphere a great place to meet new people. I exchange letters with a few members, and really feel as though these are some the nicest people I have met in a long while. I have been enjoying your posts very much, and I look forward to reading more. Also, I cannot stop thinking about that deli/bar with the typewriters on display. That is a dream! good looking royal khm! there are a couple on craigslist nearby me but ive resisted. those desktops sure take up a lot of room! Thanks all! I'm glad you like reading my blog. That Royal sure is a classic, and yes, that is a large number of decimal tab keys to my eye, especially on a normal-carriage-width machine. So you sell office supplies! Appropriate for a typospherian. I bet you could bring a portable typewriter to a sales call to take notes, and get the attention of everyone in the office (plus lots of kidding). I haven't done that yet, but I did take a typewriter out of an office that belongs to a client. I am going to clean it up and put a new ribbon on it for her and I am getting paid in the form of a rotary phone. The machine is Royal Standard, big and swoopy, looks like a contemporary of the late 60s Safari. I might typecast on it. I might have to check into that. I looks like my issue is getting better the more I use the machine. Very good post! 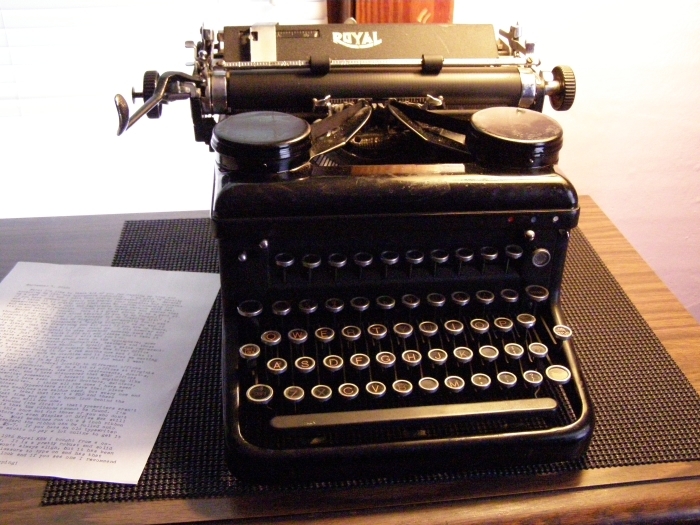 I have enjoyed reading your blog and look forward to each "new" typewriter you introduce. 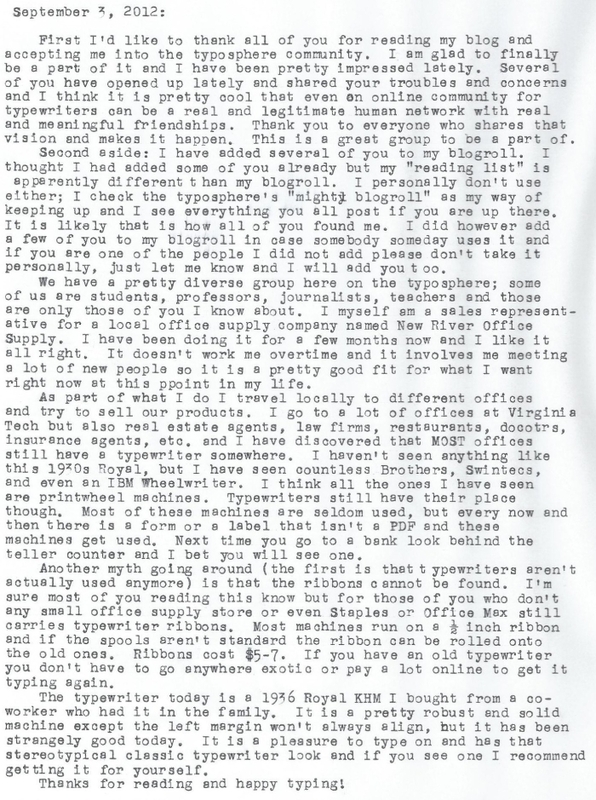 I read in the comments you might do a typecast on my typewriter, that would be cool to see. It's a good looking machine indeed. I haven't touched it yet, but after this fairly busy weekend I might take a few hours one evening and see what I can do. I am certain it will be a delight.